One of the big changes under the new code and candidly not spoken about in the press as much as the change in the “standard deduction” is the elimination of all personal exemptions under the new code. This has a potential substantial impact on larger, middle class families. These are worth $4,050 in 2017 per exemption and might offset the doubling of the standard deduction. The substantial increase in the standard deduction for 2018, as previously posted, means that a larger number of taxpayers will now take the standard deduction in lieu of itemizing. Factoring in the limit on state and local property taxes and new reduced mortgage interest limits, lets see what else could cause an increase in standard deduction usage for 2018 and beyond. Employees and business owners heed: The ability to deduct business meals and entertainment has now been eliminated starting this year as this was previously 50% deductible. Child Tax Credits/Personal Exemptions will be our next blog topic. For taxpayers with existing mortgages you can currently deduct mortgage interest of up to 1,000,000 (500,000 married separate) of incurred debt. Under the new Code, mortgages taken out between December 15,2017 and December 31, 2025 are now only eligible for an interest deduction on their mortgage of up to $750,000 ($375,000 married separate). Note: If you have a binding contract signed before December 15, 2017 and close on the home no later than April 1, 2018 the old rules apply to you. Prior to the new Code, interest on Home Equity loans of up to $100,000 has been fully deductible. The new rules have eliminated this deduction on all HELOC loans, including existing loans already in place. The tax free sale of primary homes is a great benefit in the current code, married couples can exclude up to $500,000 ($250,000 single) from their income taxes as long as the home is their residence for at least two of the last five years. There was much debate about changing this to five of the last eight years but this was not passed. This benefit remains in place. The deduction would be limited to couples earning up to $500,000 a year and individuals earning up to $250,000. Familys will no income tax liability will potentially receive assistance though a “spending rebate” through the earned income tax credit capped at “half the payroll taxes paid by the taxpayer” (lower earning parent) and subject to a limitation of $31,200 for an individual or $62,400 for joint filers. A similar above-the-line deduction would be available for home care or adult day care for elderly dependent relatives – current proposed would be a cap of $5,000 a year, indexed for inflation. These proposals are a major change from the current code which offers a small tax credit of based on spending of up to $3,000 per child, max of $6,000 subject to declining percentages. With Donald Trump as the president elect and Republicans holding a majority in the U.S. House and Senate, GOP tax reform appears likely in 2017. While campaigning, Mr. Trump promised big tax changes. Here’s a digest of his proposals, according to his website. For individuals, President-elect Trump proposes fewer tax brackets and lower top rates: 12%, 25% and 33% — versus the current rates of 10%, 15%, 25%, 28%, 33%, 35%, and 39.6%. 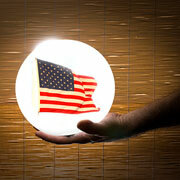 The tax rates on long-term capital gains would be kept at the current 0%, 15% and 20%. The proposed plan would eliminate the head of household filing status, which could prove to be a controversial idea. The president-elect’s plan would cap itemized deductions at $200,000 for married joint-filing couples and $100,000 for unmarried individuals. The standard deduction for joint filers would be increased to $30,000 (up from $12,700 for 2017 under current law). For unmarried individuals, the standard deduction would be increased to $15,000 (up from $6,350). The personal and dependent exemption deductions would be eliminated. Proposed new deduction: The Trump plan would create a new “above-the-line” deduction (meaning you don’t have to itemize to benefit) for expenses on up to four children under age 13. In addition, it would cover eldercare expenses for dependents. The deduction wouldn’t be allowed to a married couple with total income above $500,000 or a single taxpayer with income above $250,000. The childcare deduction would be available to paid caregivers and families who use stay-at-home parents or grandparents to provide care. The deduction for eldercare would be capped at $5,000 annually, with inflation adjustments. Rebates for child care expenses: The proposed Trump Plan would offer new rebates for childcare expenses to certain low-income taxpayers through the Earned Income Tax Credit. The rebate would equal 7.65% of eligible childcare expenses, subject to a cap equal to half of the federal employment taxes withheld from a taxpayer’s paychecks. The rebate would be available to married joint filers earning $62,400 or less and singles earning $31,200 or less. These ceilings would be adjusted for inflation annually. Dependent care savings accounts: Under the proposed plan, taxpayers could establish new Dependent Care Savings Accounts for the benefit of specific individuals, including unborn children. Annual contributions to one of these accounts would be limited to $2,000. When established for a child, funds remaining in the account when the child reaches age 18 could be used for education expenses, but additional contributions couldn’t be made. To encourage lower-income families to establish these accounts for their children, the government would provide a 50% match for parental contributions of up to $1,000 per year. Dependent Care Savings Account earnings would be exempt from federal income tax. President-elect Trump wants to repeal the Affordable Care Act and the tax increases and employer penalties that it imposes — including the 3.8% Medicare surtax on net investment income and the 0.9% Medicare surtax on wages and self-employment income. His plan would also abolish the federal estate tax. But it would hit accrued capital gains that are outstanding at death with a capital gains tax, subject to a $10 million exemption. The president-elect proposes major changes to the taxes paid by businesses. Trump would cut the corporate tax rate from the current 35% to 15%, but eliminate tax deferral on overseas profits. Under the proposed plan, a one-time 10% tax rate would be allowed for repatriated corporate cash that has been held overseas where it’s not subject to U.S. income tax under current rules. The plan would also allow the same 15% tax rate for business income from sole proprietorships and business income passed through to individuals from S corporations, LLCs, and partnerships, which could cause a significant decrease in tax revenues. Without getting very specific, the proposed plan proposes the elimination of “most” corporate tax breaks other than the Research and Development (R&D) credit. At-risk tax breaks could include unlimited deductions for interest expense and a bevy of other write-offs and credits. On the other hand, the proposed Trump plan would allow manufacturing firms to immediately write off their capital investments in lieu of deducting interest expense. In addition to President-elect Trump’s proposed plan, House Republicans released the “Better Way Tax Reform Blueprint” earlier this year and Republicans in the Senate proposed their own tax plans. These proposals — which in some cases, differ from Trump’s — would make numerous changes to cut taxes and simplify filing. Despite some differences, members of Congress have expressed support for Trump’s plans and have vowed to act quickly. Democrats in Washington are likely to oppose any meaningful tax cuts, and they can attempt to stall things in the Senate where the Republicans won’t have a filibuster-proof majority. However, the Republicans can use the same procedural tactics that the Democrats used in 2010 to enact the Affordable Care Act. It’s possible that Trump’s tax plan (or parts of it) may pass in the first 100 days of his new presidency. If that happens, we could see major tax changes taking effect as early as next year. Court Temporarily Blocks Overtime Rule- Happy Holidays! On Tuesday November 22,2016 a federal court issued a preliminary injunction to temporarily block the U.S. Department of Labor (DOL) from implementing and enforcing its Final Overtime Rule nationally, pending further review by the court. What does this mean currently? We have no additional information if or when the status of the regulations will change. You started your business to provide a specific service or make or sell a product. Now you find yourself spending your time managing finances, people and vendors. 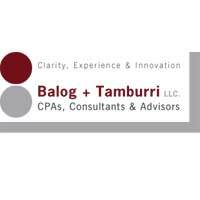 There is a solution; Balog + Tamburri’s Total Back Office Support Practice. Using our unique ProfitPlus® Framework, we create a Vision-focused business plan that is ensures the achievement of your Mission. Let us be your Back Office, eliminating the cost of employees and the related overhead costs they create. Let us end the need to purchase administrative and accounting software, and the frustrations of managing people and your I/T environment. Our Total Back Office Support Service is a symphony of highly focused services to provide your company the right level of support essential to ensure your success. We let you work ON the business while we work IN the business. You concentrate on generating revenues; we will take care of the rest. Click here for a fact sheet. For More Information call Rick Balog, CPACFF, Managing Partner at 904-945-1220.